The anthology of poems that gave birth to The Exhibitionists, a team of writers and performers from The Spoken Word Open Mic that takes place at the Exhibition Hotel Conservatory in Bootham York. An anthology of poems from The Spoken Word Open Mic that takes place at the Exhibition Hotel Conservatory in Bootham York. 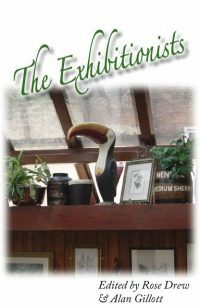 The Exhibitionists was listed in the Purple Patch top 10 anthologies for 2008.